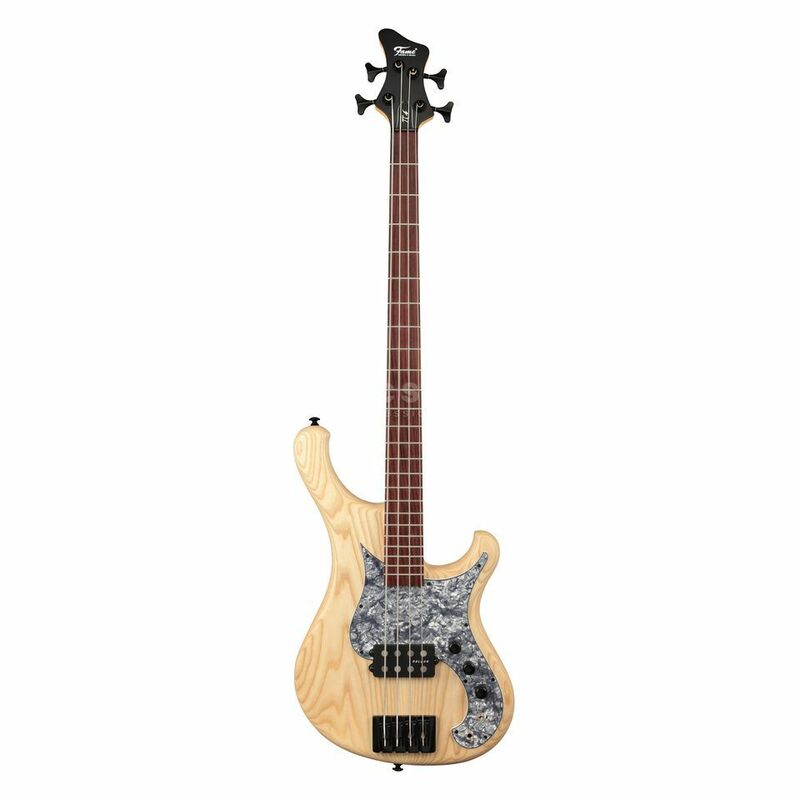 The Fame Pi 4 4-string bass guitar in Transparent Natural Matte is the first Fame signature model to be given to the highly acclaimed Polish solo artist Wojtek Pilichowski. The Fame Pi 4 features a three-piece Ash body that is joined by a five-piece laminated Sycamore and Mahogany neck, topped with a 24-fret Rosewood fingerboard. This choice of body and neck woods combine to produce a warm, rounded tone a smooth high end that rings with incredible sustain. The fingerboard is finished with a set of medium-jumbo Ferd Wagner frets. To accompany the body, the Fame Pi 4 4-string bass guitar comes equipped with a single Delano humbucker pickup with Alnico magnets that is capable of producing tones that are as versatile as Wojtek himself. Joining the pickup is an active 2-band Taurus Electronics EQ that features a 2 level punch mid-boost switch and a push/pull volume knob that selects active or passive operation. Finally, the Fame Pi 4 comes fitted with a grey pearl pickguard, a set of black sealed WSC Partsland JB15 tuners and a black deluxe hi-mass bridge.